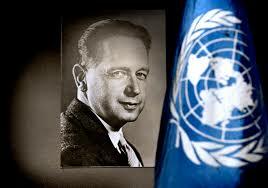 Not quite up there with the Kennedy assassination conspiracy, but still a mystery, is the death of UN General Secretary Dag Hammarskjold who was killed in an airplane crash – some say assassinated – on September 17, 1961. 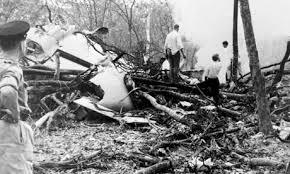 On that fateful day, a Douglas DC-6 transport aircraft with Hammarskjöld on board crashed in the British-administered territory of Northern Rhodesia (now called Zambia). Not only Hammarskjold, but everyone on board was killed in the crash. Three investigations into the crash were held, conducted by the Rhodesian Board of Investigation, the Rhodesian Commission of Inquiry, and the United Nations Commission of Investigation. As usual in these non-investigation investigations, “pilot error” was noted as the most likely cause of the tragedy. But the UN Commission of Investigation held in 1962 said that deliberate sabotage could not be ruled out as a likely cause of the tragedy, which of course set the conspiracy theorists on over drive. Since then many academics and independent investigators, such as Swedish development expert Göran Björkdahl and British academic Susan Williams, have raised the possibility that the plane carrying Secretary General Hammarskjöld may have been “shot down by an unidentified second plane”. Just after the tragedy the eagerness shown by British colonial administrators in Northern Rhodesia to obscure the details of the incident has also been highlighted and has provided further impetus for those pointing to foul play. Like many others who have met similar fates, Hammarskjöld probably contributed to his own downfall because he was an independent thinker, not content to remain in the pockets of the powers that be. He was, for example, a fierce supporter of anti-colonial movements that were sweeping the African continent, many of which were not in the interests of their colonial masters at the time. This is borne out by the fact that on the day of his death, Hammarskjöld was flying to the Congo’s mineral-rich Katanga region to meet European-supported chieftains who in 1960 had seceded from the Marxist government of Congolese Prime Minister Patrice Lumumba. 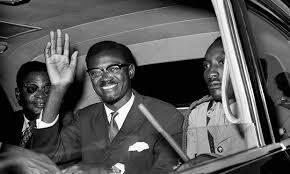 Lumumba had been assassinated in a Western-backed coup exactly eight months before Hammarskjöld’s own death. The person said to have arranged his assassination was Daphne Park, one of MI6’s top female intelligence agents and known by some as the “Queen of Spies”. Moving on in time to three years ago, in 2012, the independently funded Hammarskjöld Inquiry Trust appointed an international team of jurists, called the Hammarskjöld Commission, to study all available evidence on the plane crash. The team was composed of a diplomat and three judges from the Netherlands, the United Kingdom, South Africa, and Sweden. The Commission reported in 2013 that “significant new evidence” had emerged, which suggested that American intelligence agencies, notably the National Security Agency and the Central Intelligence Agency, had “crucial evidence” that could help clarify the causes of the crash. 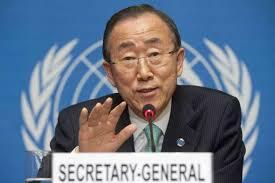 This led to the current UN Secretary General, Ban Ki-moon, appointing a UN-sponsored panel of experts to examine the new evidence and present it before the UN General Assembly. The three-member panel traveled to several countries, including Zambia, the US, Britain and Belgium, to access government, as well as private archives. That ‘new evidence’ is said to include written testimony by a Belgian pilot who says he shot down the plane carrying Hammarskjöld by error while trying to divert it on orders by a government entity, and a statement by a former intelligence officer with the US National Security Agency, admitting he listened to a recording of a pilot who said he shot down the UN Secretary General’s plane. Damning stuff – if true. Is it really possible that more than half a century later the truth about “one of the enduring mysteries of the 20th century” is finally going to be heard? Don’t hold your breath on that one. 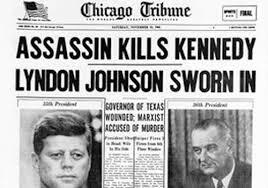 It all depends if those who ordered the assassination think they can get away with it after all these years. So who really did kill JKF, more importantly, why, and how long are we going to have to wait to find out?